At the beginning of 2018, it was reported that LG will be renaming its G-series but looks like that isn’t going to happen, at least not this year. The LG G7 is indeed coming, and some sources have reported that it will be called LG G7 ThinQ (due to some AI features). About a month back, we got a huge leak that revealed some key details like a 3,000mAh battery, Snapdragon 845 processor, dual 16MP rear cameras etc. Today, the official press render of the phone has leaked that shows the design from the rear as well as the front, in all the colour options that it is coming with. Well, as the image above shows, the LG G7 ThinQ has something on the front that we have seen on a ton of phones this year – That Notch! It is really weird to see a big brand like LG following the same notch trend that no one is liking. It was reported that LG shifted the launch date of the G7 a few months later because it wanted to launch a phone that can compete with the latest flagships of Samsung and Apple. Well, with this design, LG is now just another company that followed this notch trend. On the rear, there are dual cameras placed vertically in the centre so no iPhone X-like design here on the rear. Below the dual camera setup sits the fingerprint scanner. If you notice, there is another button below the volume rockers on the right, and it could be a dedicated button for LG’s AI Assitant as we know that LG likes to keep the power button embedded underneath the rear-facing fingerprint scanner. 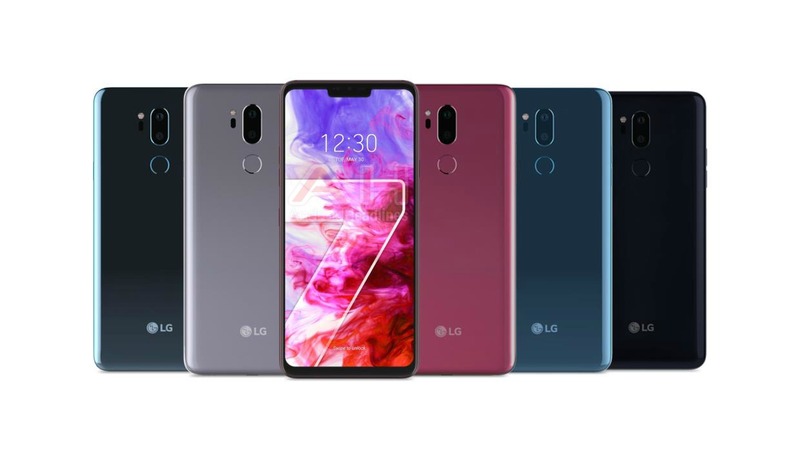 Finally, there is no ‘G7’ branding on the rear, and we can see only ‘LG’ branding. So, does this mean that LG G7 ThinQ is the last G-series phone? Well, who knows!